Tween Model Jasiah from Zhane Chanelle on Vimeo. 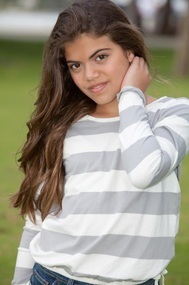 2013 Interview with Bella Quesada ( Talented Kids And Teens Interviews) from Zhane Chanelle on Vimeo. Model Sadie Brook Midnight City from Zhane Chanelle on Vimeo. Teen Model Zoe Garcia from Zhane Chanelle on Vimeo. Tween Model Kyla Kramer from Zhane Chanelle on Vimeo. Tween Model and Cheer Leader Giavanna Rudess from Zhane Chanelle on Vimeo.